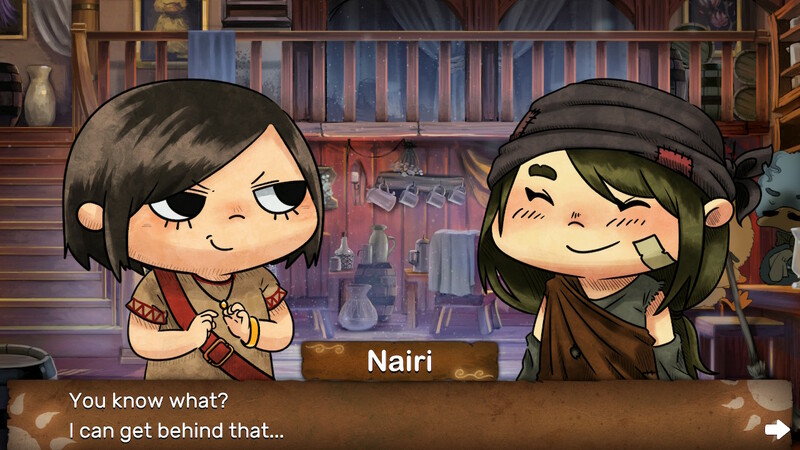 Nairi: The Tower of Shirin is a puzzle game based on a young girl that is trying to find her family. She makes new friends and together they uncover mysteries of the past while trying to get her home. Most of the time the story line is easy to follow, which I appreciate because it’s also part of the puzzle. You have to figure out how to get into or out of various situations using items you find. The narration gives you enough hints to figure out what you needed to do without holding your hand and walking you through each step. I confess that I didn’t get all the puzzles myself, I did have help from the internet for a few of them. One of them I still don’t understand the answer! There are a few detractors from the game in my opinion. The first is the controls. I played on the Nintendo Switch and used the Joy Cons for most of the game. I chose them because my fine motor control with the joysticks is sketchy since I’m a casual gamer. The issue is that the pointer doesn’t stay centered and has a tendency to drift to the side at times. For general game play it’s irritating, but easily re-centered by hitting the shoulder button. However, it is very frustrating when trying to complete a puzzle that requires you to drag a tile across the screen and you can’t get the pointer to stay steady enough to move in a straight line. I ended up switching to the touchscreen and using the joystick near the end of the game because of this issue. Another issue with the Joy Cons is that you need to use the right-hand stick to get past some areas of the game. At the beginning of the game I was using the left-hand Joy Con so that I could easily take pictures while I was playing. 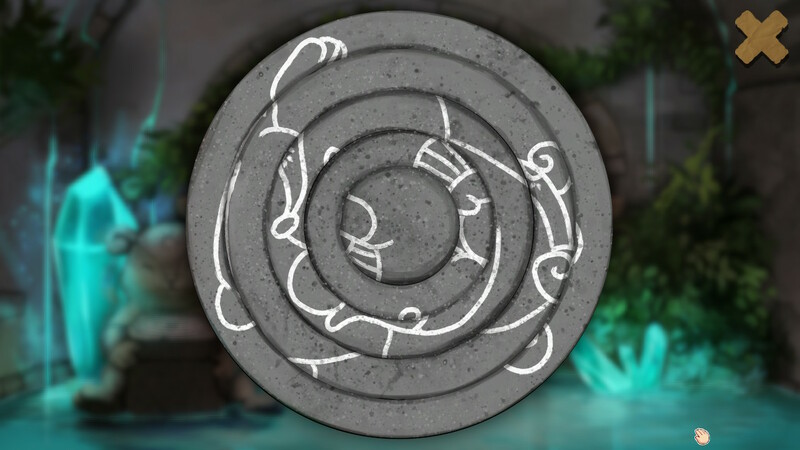 I got to the puzzle pictured below and couldn’t get the circles to move. When I tried to leave the puzzle to see if I missed a clue I couldn’t get out. After several attempts at figuring this out, I grabbed the right Joy Con to close the game and accidentally moved a ring. The “A” button on the left-hand Joy Con must not have been linked for this puzzle. After this, I started using the right-hand Joy Con to play and kept the left-hand one nearby for pictures. This puzzle was easy once I had the correct Joy Con in hand! The second detraction involved a couple of glitches. The first glitch I ran into was in the room pictured below. I accidentally hit a wrong button and couldn’t figure out how to reset the board. I tried several things and even my husband tried and nothing worked. I eventually restarted from the last time I saved and made sure I got it right the first time. Make sure you only click on the correct symbols – check the walls of the other rooms for the right ones. The second glitch was in the below picture. I clicked on the picture to get a closer look and then couldn’t get out. At this point I was using the right-hand Joy Con so it wasn’t a Joy Con issue (unless it was only linked for the left-hand). Again, I ended up restarting from my last save. The third detractor is a bit of a spoiler, but I won’t go into too much detail other than to say that the end of the game is not the end of the story. Just as you think it is time to go to the next section of the story line the end credits start to roll. 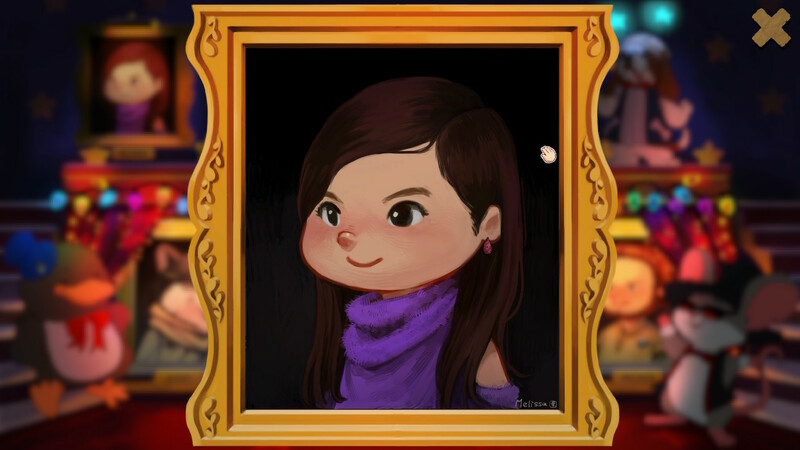 Which means that if/when Nairi 2 is released you’ll need to replay this game to remember where the story picks up. 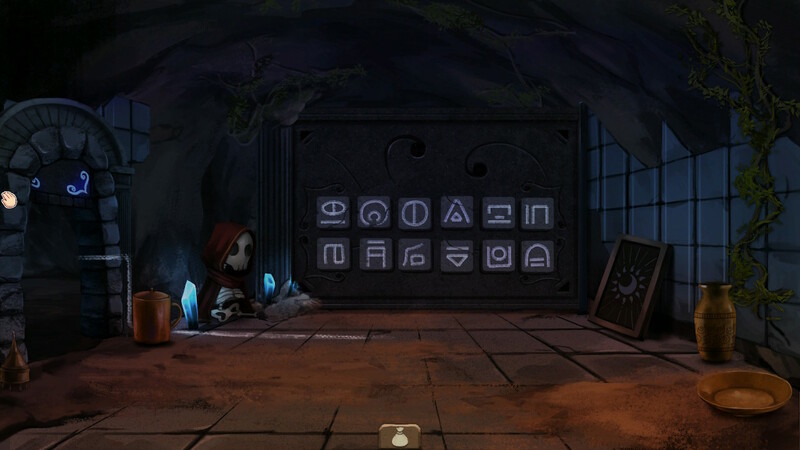 I love a good puzzle game and this is a good puzzle game once you get past the controls. The story line is good – it’s fun and unpredictable. The graphics are still frames, but well drawn. The puzzles make you think and there was only one that was completely beyond my comprehension (a few more that were difficult, but made sense once I saw the answer). I definitely recommend this game to anyone that likes puzzle games. I'm a CPA (WA state), mother of two, and my husband is awesome!